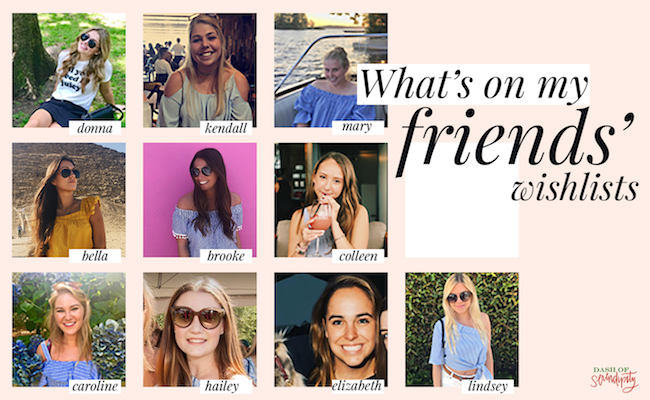 I am so excited about today's post because it involves all of my friends!! When I was thinking of what sort of posts I wanted to include in this year's 24 Days of Dash of Serendipity series throughout December I immediately started brainstorming how I could incorporate my friends. Today I am going to share a few items on each of my friend's Holiday wishlist. I thought this would be a fun way to bring in a few different perspectives on gifts. Whether you're looking for something to get one of your friends or still looking for some ideas for yourself, I thought that these ideas would be helpful and fun! For some background, I told my friends to give me two things on their wishlists and didn't give any other criteria. I wanted to be able to share what ten different people wanted this holiday season! Thank you to all of my lovely friends for agreeing to help! You're all the best. This is such a great idea! I have seriously been loving all of your 24 days of posts! Can't wait to see more! Those would be cool to have.